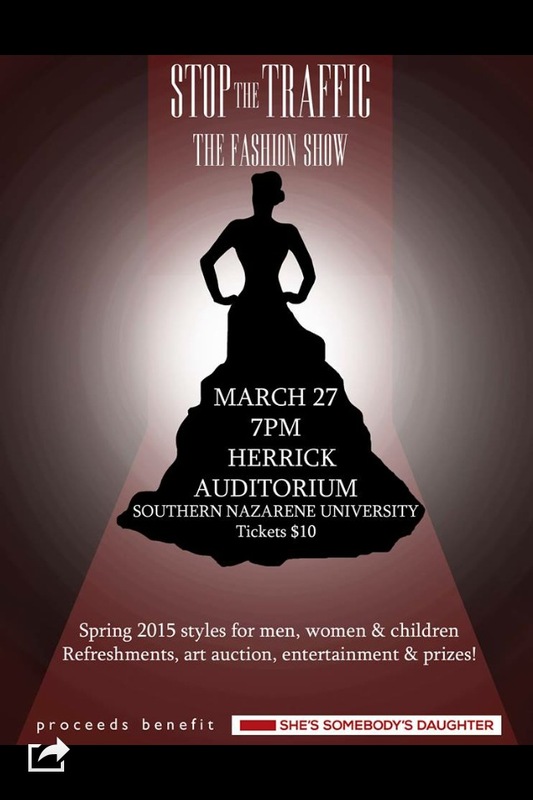 The SPEAK theme house at Southern Nazarene University has partnered with 18 year old freshman Jasmine Abraham to host the first Stop the Traffic Fashion Show in Herrick Auditorium on March 27th at 7:00 p.m. This fashion show will bring awareness to sexual exploitation through the spring selections of clothing for men, women and children. Along with this event, there will be entertainment, refreshments and prizes. All you have to do is pay ten dollars online or at the door! I had the privilege of interviewing Jasmine Abraham, as well as those who are participating in this event. As I interviewed Abraham, I asked her more about her involvement with the anti-human trafficking movement. Abraham started out by telling me that she first found out about human trafficking in November of 2011, and since then, she has been working to spread awareness and raise money for different organizations that combat trafficking. Last year, Abraham held the Stop The Traffic benefit concert at her high school for two anti-human trafficking organizations: No Boundaries International and Beautiful Dream Society. This year, she wanted to try something “a bit different.” All proceeds made at the Stop The Traffic Fashion Show will benefit She’s Somebody’s Daughter, an organization that confronts sexual exploitation at all levels. I hope that everyone comes out to support these young women in their endeavor to stop the traffic that has put young women at a standstill for hope and freedom.